Going on a diet only implies one thing. Heck going on anything only implies one thing. It implies that eventually, you’ll go off of whatever you’re on. In today's world of instant gratification, we are faced with it every day. It's time to shed some light on what diets do to our minds as well as our bodies. There are too many programs, influencers and hoaxes out there trying to get your attention and money. All I want is your honesty and to increase your awareness. When you think about going on a diet, that's what happens, you think that it will be the answer to all of your problems. When in all reality it only creates more problems. There are so many programs, diets, fads, drinks, wraps, and anything else people fall for. Now, I'm not outside of any product. I love a quick fix, but am completely aware that it is just that, a quick fix. Going on a diet only implies one thing. You'll eventually go off of it. If you learn from it, great, but most people don't. The diet isn't what will fix your problem. You are. My clients tell me all the time that they are surprised how accepting I am of their ideas to try out other programs and products. Why? 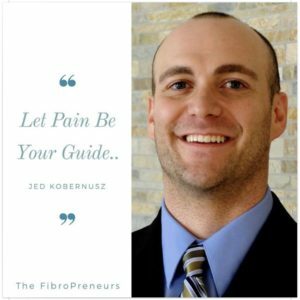 Because of the truth about what I want for my clients and for the #KoberNation. It's for them to become better than me. They also say how they are very surprised that there is no equipment or other things involved. My coaching is simple. Do it or don't. I'm pretty polarizing, you either love me or hate me. I'm good with both. When people first follow me they see someone who is “already there”. I'll be the first one to tell you I'm not. As I sit here writing this I can see out of the corner of my eye a plate and a fork with frosting on it. I just ate a piece of cake before I started writing this article about going on a diet only implies one thing. Because of this fast-paced world, we feel the need to go fast at all times. What's cool about lifelong changes is the fact that we don't worry about the past, plan for the future and live in the right now. Shoulda, coulda, woulda will only leave you shaming your current behaviors and blaming your past. Whether it's keto, paleo, oreo or any other diet out there, there's only one way to do it. It's to simply do it. You can, however, try to adhere some of the traits from the “diets” and forget the ones that you don't like. Because the way I coach is this, There's no right way, There's no wrong way, There's only your way. Going on a diet only implies one thing. 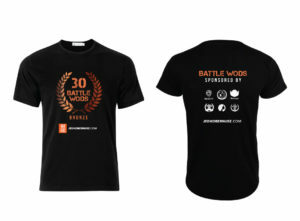 Heck, going on my 365 WOD Journey only implies one thing. You'll eventually get off. Don't even think about going “on” the journey. You are the journey. Life is not a bunch of stepping stones to get to a place of happiness. Happiness is all around us and it is with us 24/7/365. We simply choose to have it or not. Some would say that all of their “unhealth” is hereditary. Let me tell you something, they're dead wrong. Our DNA and genetics only make up 50% of our being. The other 50% is up to us. So if your drinking, drugging, using and abusing your body, then it's your fault. The best thing you can do is forgive yourself and start looking within for answers. And don't confuse drinking with booze and alcohol. Drinking can be all of the drinks that you're buying to lose weight quickly and boost your metabolism. Drugging is only cocaine, heroin and meth. It's also the pills that you buy from a “distributor” or “rep” selling you weight loss pills. I know you're out there doing this because I still see people on social doing all of it. I'm no one to judge and I'm not shaming people who are looking for the easy way out. We are human, it's built into our central nervous system to look for the path of least resistance to get what we want. The way to break that pattern is to become aware of it, practice the change and the become the change. That's what I call going from thinking to doing, to being. Going on a diet only implies one thing. It means whatever program you're going to follow, plan to go off of it. If you don't you'll only be left with heartache, even worse depression, and become even more unhealthy. I wrote an entirely different blog post about this. It's called The Biggest Loser Mentality Might Keep You From Losing Weight. Since I wrote that article I've been honing in on my thought process when it comes to coaching people for the permanent changes for a happy life. Writing meal plans, talking to people specifically about diet, and telling them what not to eat is not what I do. Why? Because I don't like to feel limited on what I can eat. As soon as I give myself the permission to have what I've been limiting myself on, I go nuts. We all do. It's about interrupting the patterns that lead you up to grabbing that bowl, ice cream scooper, and the pail of ice cream that will deter you from following through on the binge. Not many people understand that. The Transtheoretical Model proves that over and over. I'll get to that model in another post, but for now, it's all about going from thinking to doing to being. Since going on a diet only implies one thing, you'll be glad to know that changing slowly only implies one thing too. It means if you fall backward it won't hurt as bad as if you were running fast with your changes. We all know that if you fall backward it hurts. If you are going slow and you fell backward it still hurts, but not nearly as bad as if you were running backward and you fell. It's plain science. Use that same logic for the change. Change slow. Change often. If you fail, it's all good. It takes nothing to fail. It takes guts to keep trying. People will give you their criticism of your approach according to what they want you to do. They have your best interest, but not before they're own. If you have high self-awareness, then you won't let anyone in your head change what you know is your path. I've had many people try to penetrate the thick, massive, heavy, and protective wall I've built within my mind. They're not getting in. The place where I am now won't be the same place tomorrow. I change often. Sometimes too often and I'm reminded of that by being pushed over while running backward. Again, it's ok to fail and it takes no effort to do so. It takes a massive amount of effort to get back up, dust off and try again. That my friend is where the true change happens. It's in the doing. I don't expect anyone to read this. Heck, I don't expect anyone to read anything I write, but for some reason they do. I'm always blown away by how many people actually take in my content and are changing their life. Then only thing is then, is to tell me more about it. Nothing means more to me than when someone tells me because of my content they have been able to change their life. That may be me just liking the stroking of my ego, but hell, why not? So after this long and drawn out post about going on a diet only implies one thing, I'll leave you with your thoughts. It all comes down to you and your thoughts. That's really all we have. Summing up this post comes from my header. If you're willing to change from the neck up, then you WILL change from the neck down. It really doesn't matter what level of health you're in, that statement applies. Get out there and get yours. Be happy and stay safe. 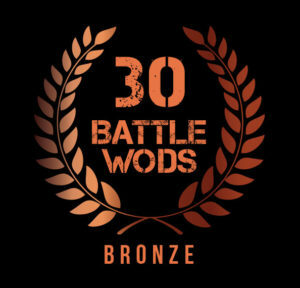 PSS: If you found this WOD about how going on a diet only implies one thing, then consider contributing to the building of my gym fund. Becuase then I can keep helping you out. Go Here To Contribute. Thank you for your time, attention and generosity. 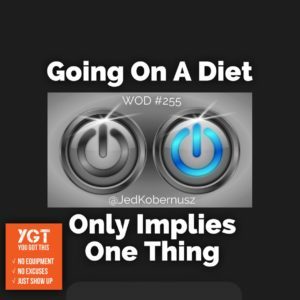 Did you enjoy my thoughts about how going on a diet only implies one thing? Please share and/or comment. below. Is it me or has talking about negative energy has become popular? When I think about how my parents communicated 20 years ago we didn’t have memes from Instagram or short videos from Facebook to consume information. In today’s world, we now have the internet and social media that are the wind in the sails that are directing the attention of the masses. Will Smith is someone who comes to mind when it comes to short videos to watch. He is a true inspiration when it comes to this topic. What kind of stuff are you watching every day? Is it positive, inspiring, egotistical, narcissistic, loving? Does it serve you well? It’s all about the negativity talk, self-talk and what kind of mindset you have. Loving yourself enough to make this popular talk is something that wasn’t popular when I was a kid. My kids won’t have to learn how to put negative thoughts out of their head. My parents used the library for us as a resource. We chose not to use it most of the time. Now we have more at our fingertips than 5 generations previous to mine had combined. It’s time to decide to use it. Talking about negative energy has become popular in a way that we still haven’t realized. What I mean is, the internet isn’t going anywhere. Look at Toys-R-Us for example. The failure to keep up with the internet has caused them to file for bankruptcy. Learn new things, try new things and do new things. It’s time that we decide to become responsible for our own thoughts and actions. Talking about negative energy has become popular because we are becoming more open-minded about life as we know it. To conclude this message about how talking about negative energy has become popular I’d like to challenge you to share ONLY positive things for thirty days. Even if you’re feeling like . Even if you’re not liking life at that moment. Find something that flips your negative mindset and share it. Look for positivity and you’ll find it. Look for negativity and you’ll it. Be aware of what kind of energy you’re looking for and at. PSS: If you found this WOD about talking about negative energy has become popular and if it brought you value, consider making a donation. That way I can keep helping you out. Go Here To Donate. Thank you for your time, attention and generosity. 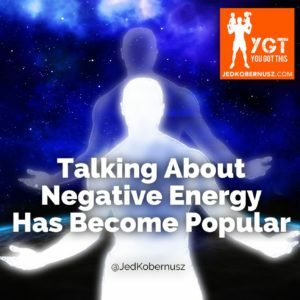 Did you enjoy this post about talking about negative energy has become popular? Please share and/or comment below. Today I see it all over, from work to home, people looking for more quick weight loss tips. When I see how many times people search this topic, it's incredible to me. In one single day, quick weight loss is search 670 times. That might not be much, but think about how many times you use google each day to look something up and imagine that at LEAST once a day you searched more quick weight loss tips in hopes of finding a better way. Not truly accepting that I'm a business owner or “business” minded person, until recently, I've been fighting the market. Meaning that I'll “be different” and change the world by working against the grain. I find ways to trick people into thinking that there are more quick weight loss tips out, when in all reality they are the same message as before, just broken down to bite size changes. Determination is something that other's either have or they don't. This level of understanding can be very hard to assess, but is important when talking about this topic of quick weight loss. Determination is something that gives you purpose. A great tip for weight loss is to determine what works for you and do more of that. Why would you want to eat foods you don't enjoy and restrict yourself from the ones that you do? includes themselves. Those people also need to know that the more quick weight loss tips come in the form of community. They share what works for them and try to inspire others. This is human nature at it's finest. We all want to feel like we are a part of something bigger than ourselves. A quick weight loss tip would be to find people that make you feel good about yourself and ditch those who don't. In conclusion there are three things here for more quick weight loss tips. Consistency, Determination and Community. Those three things will get you to where you want to be when it comes to weight loss. Think of those three things like three pistons running in sync of one another. When one of them is off, the proverbial engine isn't running right. Therefore a little “tune-up” is in order. Where to go for the said tune-up? 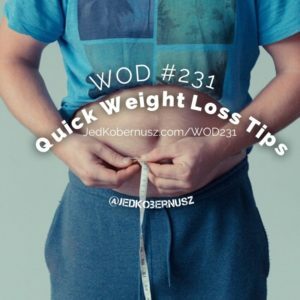 If you're totally right here with me already, then let's get going with WOD #231 and get more quick weight loss tips by watching the video and DOING your daily WOD. Because the doing is where the fun happens to be. 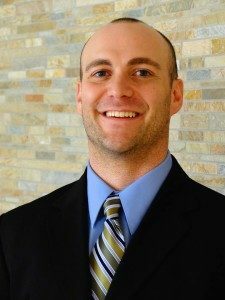 PSS: If you found this WOD about Quick Weight Loss Tips and thought it to be helpful, consider making an At-Will Offering. That way I can keep helping you out. Go Here To Give. Thank you for your time, attention and generosity. Because you enjoyed this post about Quick Weight Loss Tips so much, Consider a tweet, share and/or comment below what you liked most.